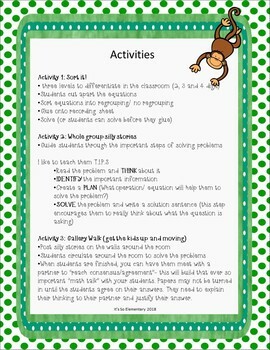 (Word Problems: Addition) Get your students up and moving with this Silly Addition Stories Gallery Walk! Engage your students with a fun gallery walk to practice addition word problems. 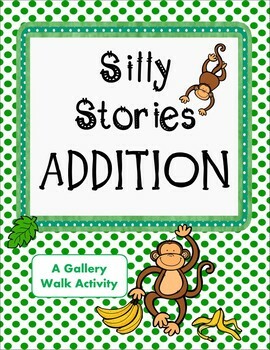 Silly Addition Stories features three addition activities to get your students fluently adding within 1000. 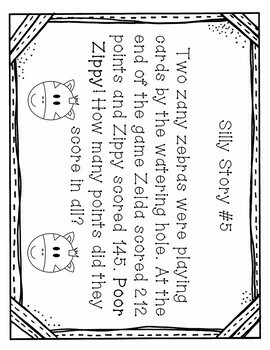 This set features 3 activities, answer key and 8 silly addition word problems to post around your room. 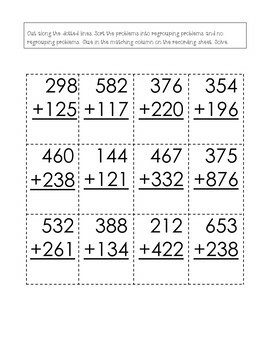 •	Students sort problems by regrouping and no regrouping problems and glue to a recording sheet. Thank you for downloading my product. I know you have a lot of choices and I thank you for choosing this. Enjoy!